← ከ – ካ ሲ ዮ ጵ ያ እስከ መ ገ ነ ጣ ጠ ል ! 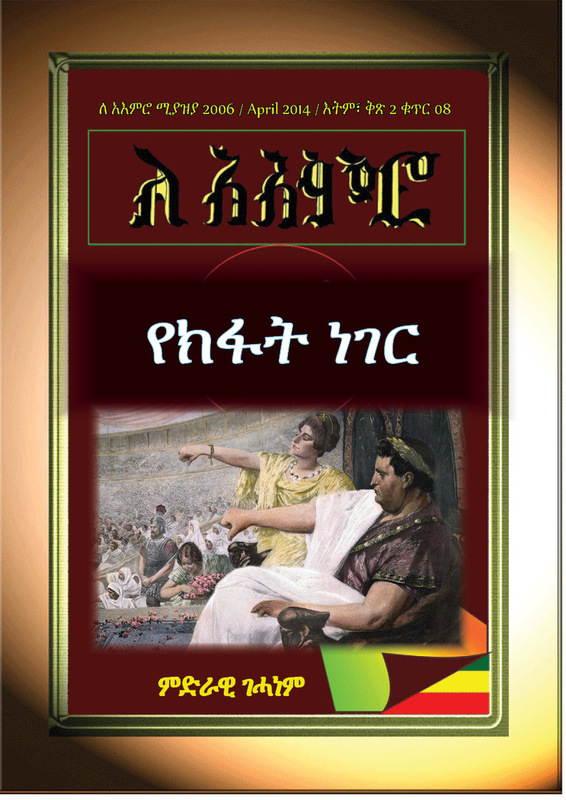 This entry was posted in ለ አእምሮ አዲስ እትም, ርዕስ አነቀጽ / Editorial, ባህላዊና ማህበራዊ /Cultural & social. Bookmark the permalink.